Typewolf is one of my favorite new design websites out there. 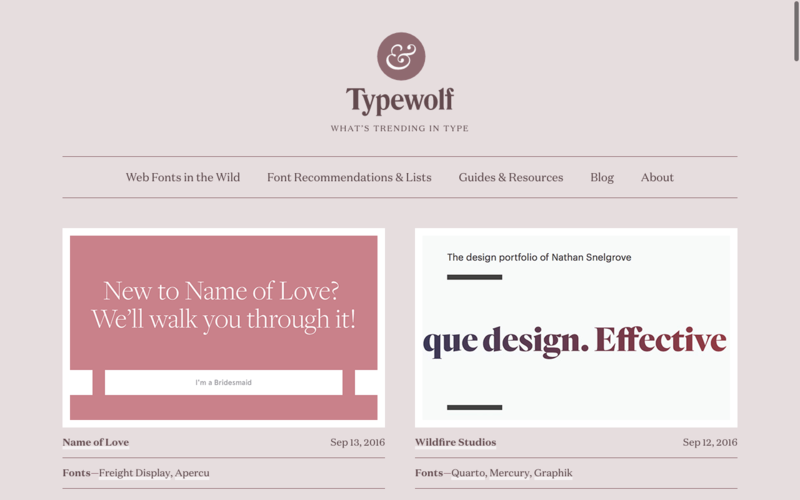 Typewolf shows you what is trending in type, and great pairings of typefaces for use on the web. Another feature of the site shows font alternatives to popular commercial fonts that you can use on the web. There are features such as “Top 10 Helvetica Alternatives,” “Top 10 Futura Alternatives,” and so on. You can even search their site for font alternative suggestions, and for great pairings. This entry was posted in Show & Tell and tagged font, type, typewolf, typography, webfont. Bookmark the permalink.